Baylor coach Art Briles says he has something special with the Bears and has no desire to pursue other coaching positions. Briles’ name has been linked to the opening at Texas. 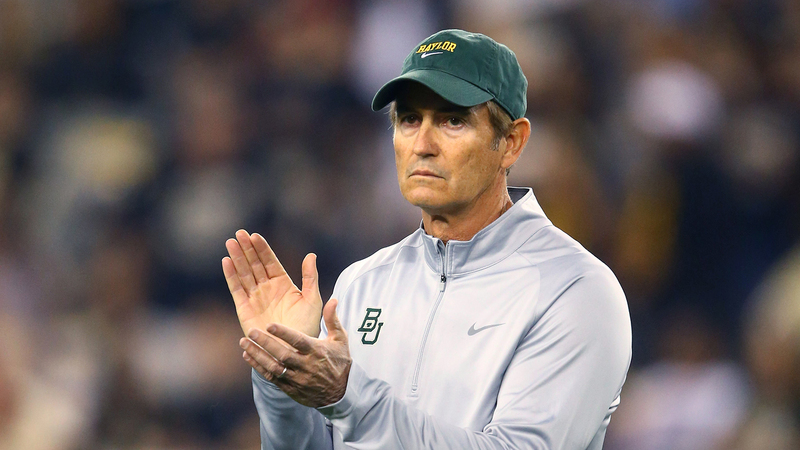 Briles issued a statement Friday reiterating what he has said many times before, that he is "both humbled and honored" to be Baylor’s coach. He also sent a tweet on his account that read, "Contrary to reports and rumors I am a Baylor Bear." The sixth-ranked Bears are coming off the most successful season in school history. They were Big 12 champions and won a school-record 11 games before losing Wednesday to No. 15 UCF in the Fiesta Bowl, the team’s only Bowl Championship Series appearance.